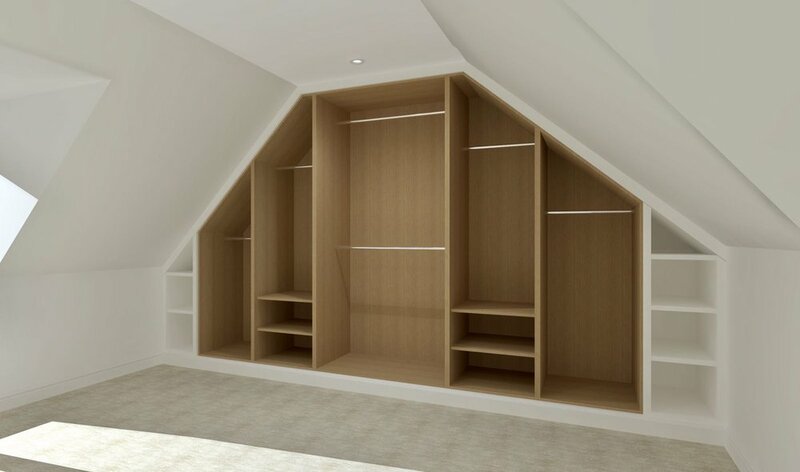 Jamie Williams Design create beautifully functional and perfectly formed wardrobes in Cheltenham to transform your bedroom space into something usable and pleasing to the eye. With over 20 years in the cabinetry business, you can be assured that Jamie Williams Design can make something that is built to your exact specifications, whilst delivering the customer service and quality you can expect from the Jamie Williams Design team. We create all of our projects in photorealistic computer aided design before we get to work on the real thing. Using the latest technologies and software this helps you to get a real feel for the space you're looking to fill. We also accurately recreate the lighting in your room and shadows that the objects in your room create. This gives you an exact representation of your whole room. Our attention to detail is unparalleled in the joinery and cabinetry sector. We truly are perfectionists when crafting our fitted wardrobes. The expertise of our incredibly talented craftsmen, together with our specialist finishing methods, sets up apart. We use advanced spray painting techniques to achieve a perfect even finish. Jamie Williams Design don't just create beautiful exteriors for wardrobes. Our attention to detail and quality control mean that the interiors of your wardrobes are built to the same standards as all of our furniture. This means you get an exquisite design inside and out but also something that's hardwearing and we're sure it will last a lifetime! Our wardrobes are second to none, with unlimited choice in finishes, paints (hand painted or sprayed) and materials, What we design and build for you will compliment your home, and will be a functional piece that will last for a lifetime. If you like what you hear and you would like to book in a consultation please use our contact page or message us via social media.